The first set of detailed renderings Forest City’s proposed 5M Project, a project which spans a 4-acre site in the heart of SoMa between Mission and Howard and includes the renovation and construction of nearly two million square feet of space, with up to 1,200 new residences and 150,000 square feet of ground floor retail, educational and cultural uses, has been released. 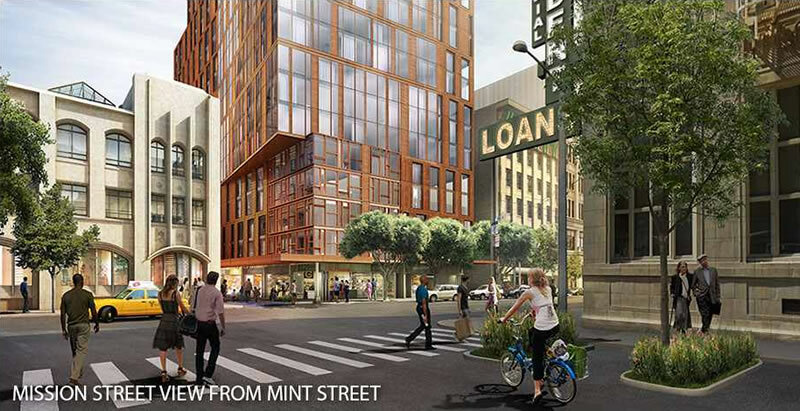 Currently only zoned for development up to 160-feet in height, an up-zoning of the project’s parcels will need to approved for the buildings as designed by Kohn Pedersen Fox Associates to rise up to 470 feet on the site as proposed. 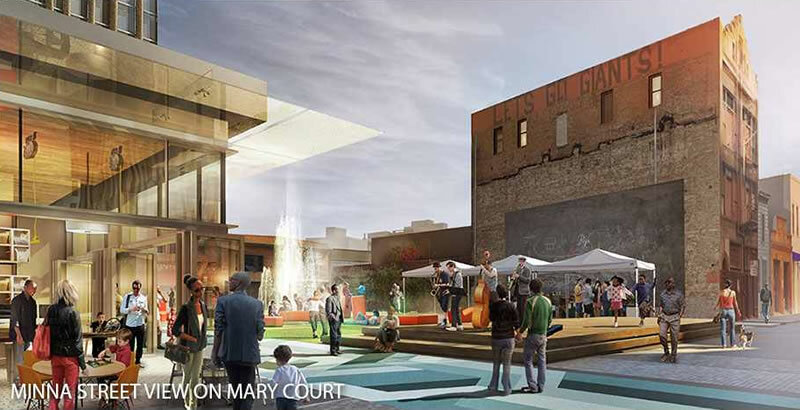 In addition to a 12,000 square foot plaza in the middle of the project, the development plans call for a 22,000 square foot public lawn, garden and open space to be constructed atop the Chronicle Building. Construction for the 5M Project would span an estimated eight years and is currently slated to commence in 2017. The first public hearing for the development, a review of the project’s 740-page Draft Environmental Impact Report, has been scheduled for this month. that is awesome!!! That will really help transform the neighborhood for the better — 5th street can use all the help it can get, and a big bold project like that is the best way to do it. Hello Big V – would you be interested coming out to the planning commission hearing on the evening of September 3rd to speak of your support for the project? Build it!! More of the same, please. I also admire the different architecture and enjoy all the public space. 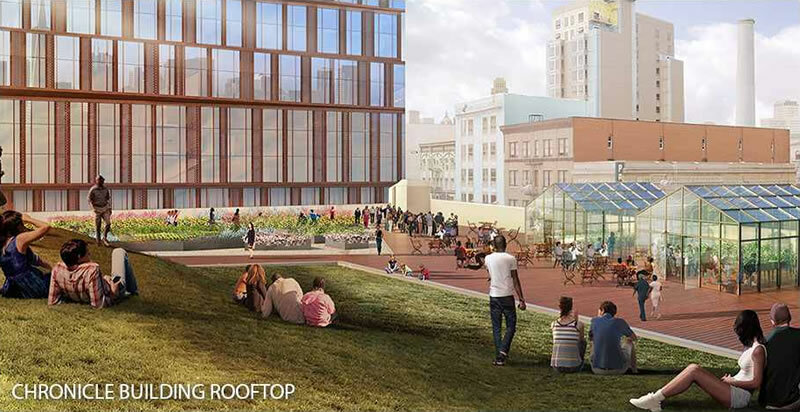 I kinda hoped they would have better rooftop designs, they all look pretty simple and boring, and incorporate more green sustainability into the building itself. I also wished the tallest tower went higher to make it more recognizable and I wished it had a more attractive finish, a nice crown at the top, not just a giant rectangle. Agree on all fronts – I’d commented on the prior blog entry about this that it needs more of a landmark feel. 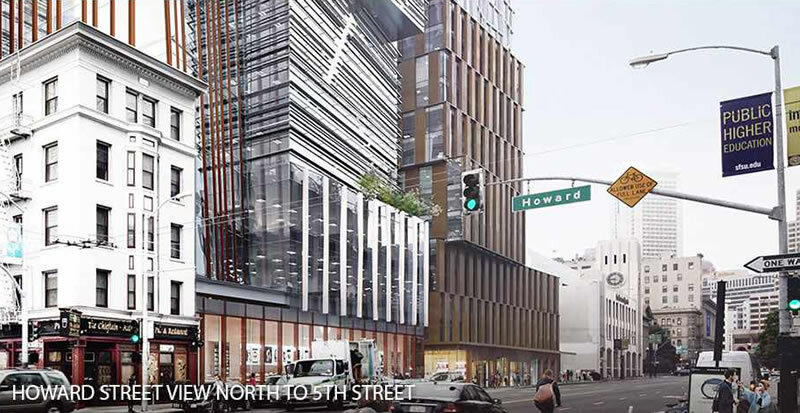 I’m not fond of the finishes, look like they’ll fit in nicely with the blech federal courthouse… but hard to tell in these watercolor-y renderings. Uh Oh. Dissing a “significant” piece of architecture by a CUTTING EDGE Communist architect? Mayne obviously hated the Federal Government and his architecture clearly shows that hatred. 🙂 Greenwashing details aside. He must hate every building he does because the Federal Building is pretty typical of his language. I think it’s gorgeous and a much needed icon amongst a lot of other background buildings. Almost everything looks good on paper, but time will tell if it measures up to the heady expectations. This stretch of Mission may be cleaned up by the time 5M is completed, but a lot depends on the city digging itself out of its complacent hole and tackling the panhandling and drug issues. The success of any major Market St. development a block away rides on this too. 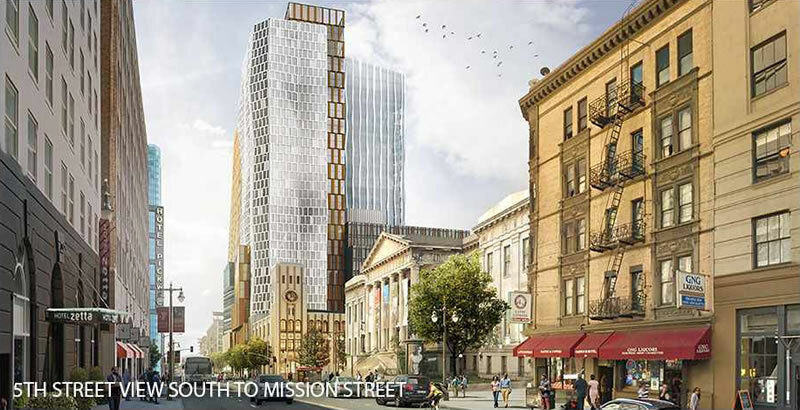 This is a major up-zoning and it will be interesting to see the opposition to these creeping towers pushing up Mission. At some point the developers are going to trigger a backlash and perhaps initiatives to stop up-zoning. 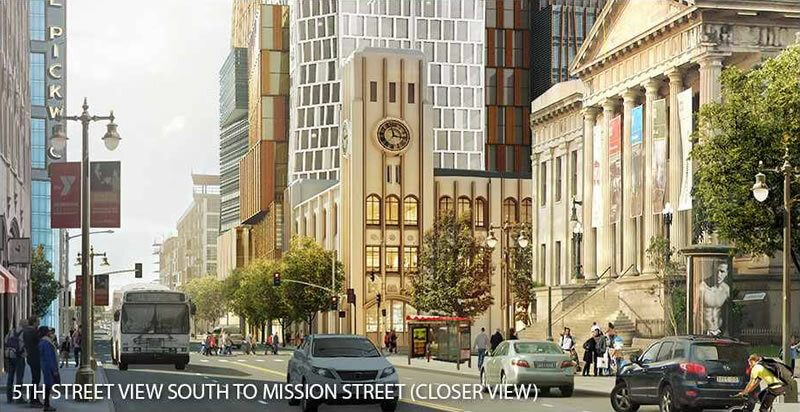 Preservation of the older buildings, open space, and a stunning looking new tower? Everything about this is great. I love that this doesn’t look like a value engineered box. I live in direct line of sight of the 5M project. It will block my view and I can’t wait for it to be built! It will change the character of the area. Workers restarted digging the hole for the mall between 5th and 6th this week. 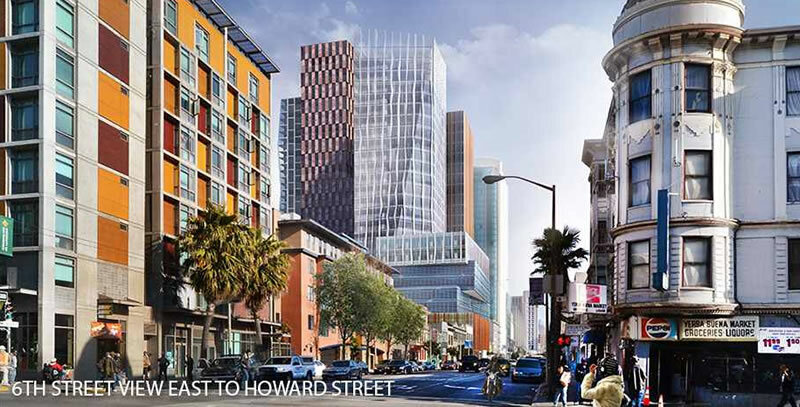 But we do have to figure out what to do about the Tenderloin and 6th street. Stevenson street is a tent city every night and the smell of urine when walking by it on 5th can make you gag. And the SRO above Latte Express caught fire again on Monday. This happens every few months. Hopefully these new developments will push the city into cleaning things up. I sometimes wonder if there is not a risk of overbuilding. 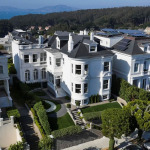 I am in favor of new development, with fewer restrictions than we now have, but is there a foreseeable time when the number of new condos force a retreat in price? And then a knock off effect on SF housing in general. In other words, a downturn. A retreat in price is exactly what the city needs. Build more, please. God forbid that after nearly 2x runup in housing prices in 5 years that things might drop by 10%. Or at least level off so that more than 8% of residents can afford something. There is no risk of overbuilding in SF. The real risk is underbuilding, and it’s more of a certainty than a risk. It would take something like 10 times the current amount of development to come close to a situation where overdeveloping causes prices to drop. Interesting development indeed. 5th Street has long been neglected especially between Mission and Market St. Mint Plaza tried, albeit, unsuccessfully to revitalize the area but a number of eateries came and went. The SRO above Latte Express is owned by an Indian fellow. Latte Express, as a tenant, is a huge step up. He stands to reap the benefits of this massive development but not with existing SROs. It’s my understanding that one of the commercial spaces in mint plaza was purchased outright by a chef and the other is very likely to become a restaurant soon. There’s still hope for the plaza. Especially once the museum becomes a functioning museum. The 5M development should greatly increase foot traffic on this block as well. You’re right. The efforts to date, though admirable, were premature. I suspect those who invested there expected the museum to be up and running before now. I thought the museum was supposed to be up and running 10 years ago. What happened? The economic downturn. Is there an ETA when this museum will open? 7 more years? Instead of spending money on kiddie’s fridge art on Market St., why not use the money and speed up the museum opening. It was recently transferred from the SF Historical Society to the California Historical Society. The latter seems to be far more effective at getting things done. We hope. The downturn in SF real estate market is already here, in neigborhoods untouched by tech. But that is how market forces work. The number of available rentals have increased and prospective tenants are much pickier about getting the most bang for their buck. Condo. prices won’t stay high forever as more become available. Mediocre locations with sky high prices will price themselves out of the market. There is a global slump and not all wealthy oligarchs will want to park their money here if some other country offers them a better deal. Those are the negatives. The positives are people who were able to buy but spooked by high real estate prices will buy when prices come down. As the rents decrease, commuters to SF who are sick of the commute may find SF a little bit cheaper and affordable. In any event, single family homes will still remain and scarcity in SF so prices will not come down. The only relatively cheaper SFH are ones in gritty neighbors ie. Silver Terrace, Bayview, Visitacion Valley, etc. What neighborhoods untouched by tech and experiencing downturns are you referring to? I can’t speak to the “untouched by tech” bit (though as the comments about, e.g., Stevenson show, there are plenty of areas of the City that are literal cesspools)…. but Duboce Park is one of a few areas that have seen an increase in homelessness and violence. Don’t know that I’d call that “experiencing a downturn”, but it’s definitely a deterioration, and a problem. I don’t know if it’s slowing down, but from what I’ve seen, some of the areas that were immune to tech are in the earliest stages of gentrification. Apparently there are a few tech types buying near Oakdale, just east of Third. 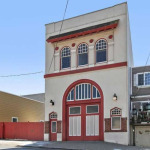 It’s got good south bay access and is a bit sheltered from the worst parts of the Bayview. But isn’t that at least partly because of increased enforcement and gentrification along the Market Street Corridor below Fifth Street? It is still the cusp of Noe and the Castro, so is there really a bubble situation there? A better argument is that much of non-coastal California never saw much of an uptick in the economy. Throw in the (contiuing as we speak) drought…. According to a policeman I spoke to the crime and homeless problems in Corona Heights and Duboce Triangle are down to mid Market and SOMA being policed more vigilantly. The troublemakers simply strolled up the hill a ways. But I was speaking about the market. In terms of volume a case can be made for a downturn this summer and year to date. Not price. I doubt you can find an area that has ytd less per square feet year over year. All for the height additions, but that is one fugly building. I’m wondering how long they’ll have to wait in line for a Prop M allocation for all that office space. The view south down 5th Street of the Landmark Old Mint and historic Chronicle buildings will greatly impaired by this new building. The development is too large and extremely ugly, it would be alright on an industrial park but not next to important historic architecture. The Mint and Chronicle Building are in front of the new structures from the perspective you’re describing. This is exactly the crap that gets ballot initiatives initiated. It’s bulky, ugly, hodgepodge of underwhelming design. No thank you! What with the migration of NIMBYs to socketsite? Just trolling ? There is a risk of developing without amazing architecture! Nothing in the city should be built without being spectacular because there is such a small amount of land. The best designs should only be built. Height limits need to increase a bit in certain areas. The proposed height is a good counterpoint to the Intercontinental Hotel and the promise of housing addresses an urgent need. This area has too many rentals and condominiums would be ideal here. We don’t need more commuter gridlock. Let people live near work. Cool- I like it.. Wish we could build it another 100 feet higher, though..